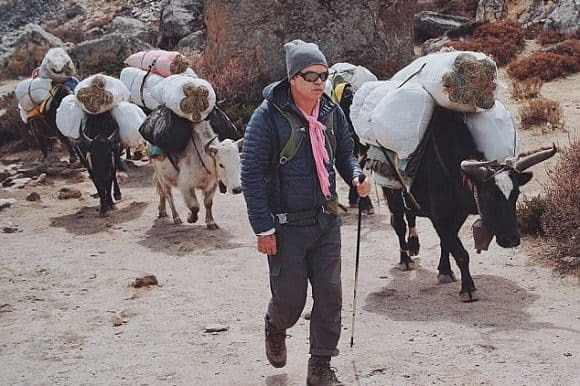 Hold your horses, superstar DJ Paul Oakenfold just played a gig at Mount Everest base camp! The British DJ, who’s worked with the likes of Madonna, kicked off the party, being the first one to do so at the highest stage on earth on April 10 at around 11 a.m. This was an event that was planned as the first gig to the beginning of the DJ’s Soundtrek Series and the Generations World Tour. It was meant to mainly raise awareness about global warming. 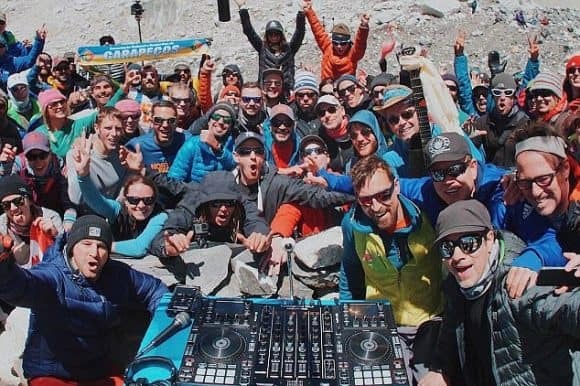 The Mount Everest base-camp located 17,600 feet above ground had seen some great parties before. But, this gig was next level. This was no mellow music party around the campfire. Paul Oakenfold had prepared the ultimate gig to mark the anniversary of his first trip to Ibiza, the beginning of a long journey of spinning at some of the best parties in the world. 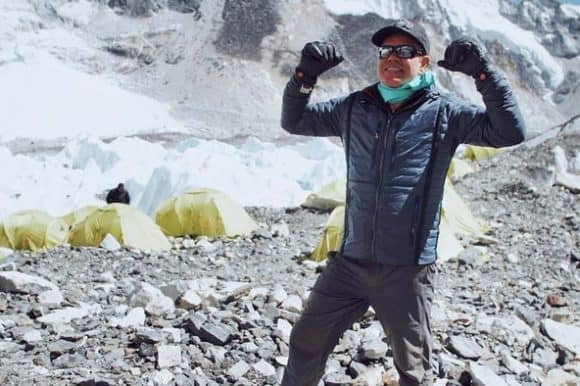 The equipment itself made a long journey as it was flown in, driven, loaded on a helicopter and then carried to the location by a few helpful Sherpa. The entire team, consisting of the British mountaineer Kenton Cool, Paul’s trainer, photographer and a cinematographer as well as a local Kathmandu DJ Ranjen Zha, had arrived in Kathmandu on 29th March and began the perilous trek atop Mount Everest on March 31st, finally arriving at location on April 8th to begin prep. The selfie-stick bearing few lucky audiences contained the local guides, a few brave climbers and many local Sherpa. A bottle of whisky was passed around the crowd. Some even used a hiking boot to fill and chug their beer. The audience was left in a trance. A good time indeed. Oakenfold had also streamed parts of his Himalayan adventure on Facebook as well. This is not the first spontaneous and extravagant parties on the Paul Oakenfold’s list. 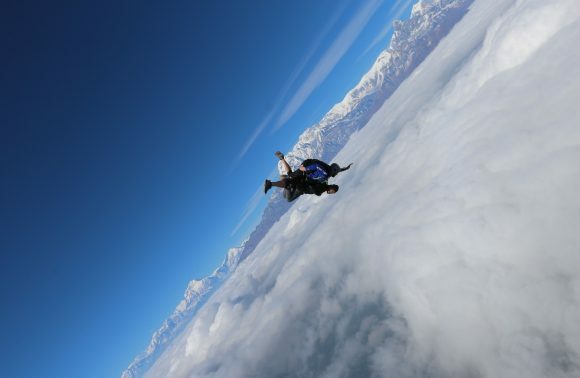 Previously, he has also played on the Great Wall of China as well as Ushuaia, the southernmost tip of the world. 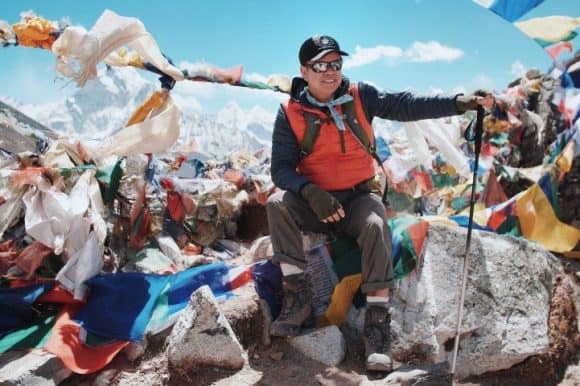 Oakenfold has been training for months prior to the journey to prepare himself for this ultimate climb up the Everest to throw the ‘highest party in the world.’ He’d stopped partying to prepare for this epic gig and maintained a strict schedule mapping out his entire routine. 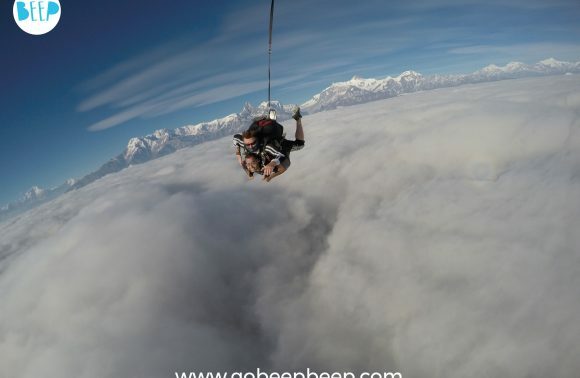 The event’s purpose was charity, with the funds that were raised being donated to a Himalayan Trust in UK as well as an NGO for Nepal’s Children. It will also help the survivors of the 2015 Nepal earthquake. 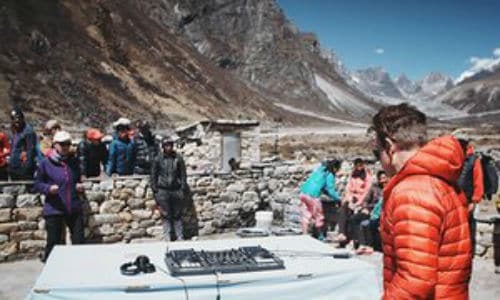 The equipment that was used is being donated to, get this, a local DJ school in Kathmandu. Apart from this, Oakenfold also took away some inspiration from the mountains, recording a few local sounds, playing spontaneously at local teahouses and visiting the locals. 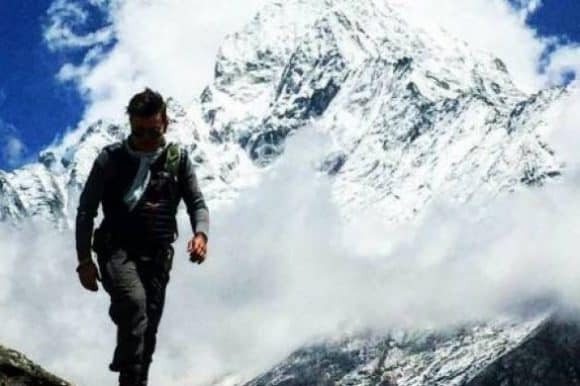 He plans to use these Himalayan sounds in his upcoming tracks. Regretting missing out on one of the best parties ever? I know I am. 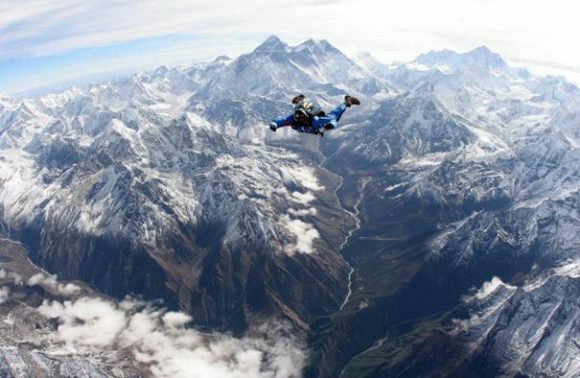 Festivals are so mainstream; Coachella, Sunburn, Tomorrowland aside, this spectacular Himalayan adventure really took it to new heights!